Home » Appliqué » UFO 12-Christmas is Coming! So looking forward to Christmas, it is always a special time of year with family, memories, baked goods, decorations and celebrating the birth of Christ. That is what Christmas is all about. Here is my Christmas quilt. Always put it out for the Christmas season. 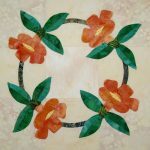 If you are interested in the pattern, click on the photo. Mary sent along one of her UFOs to celebrate Christmas too. 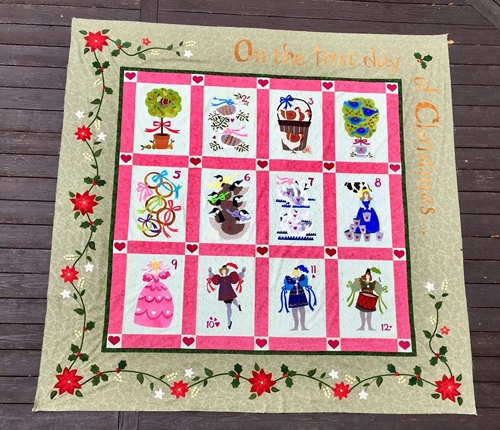 The blocks are from Curtis Boehringer’s 12 Days of Christmas. The setting is Mary’s own design. Just beautiful! Love it, thanks for sharing Mary! Thanksgiving is behind us and the New Year ahead of us. I am still going to blog about UFO’s into the coming year and look forward to seeing some from you. I know I haven’t posted that many myself. Hopefully, I will get more done in 2019. Talking about UFO’s, here is one I have been working on per my granddaughter’s request. “A pink quilt Oma!” Won’t use up all my pink fabric, but it is a start. Don’t think the neon pink will be part of it, although it might be useful as a tiny 1/4″ border insertion. 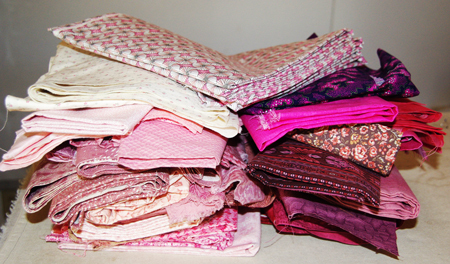 What is it with scrap quilts, the fabric seems to multiply, rather than go away!! She loves ballet and the first one reminds me of dancers doing pirouettes on a tile floor! 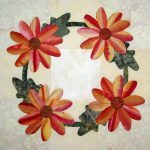 It is based on a pattern from Quiltessa Natalie on Craftsy. That quilt is square, but to fit her bed it needs to be rectangular. So I put it into EQ using only pink fabrics. I plan to move the darker fabrics to the outside of the design with the lighter ones in the middle or maybe the dark ones across the middle with the lighter ones towards the top and bottom. It will be on the design board for a while. Here is a printout of a design that has been pinned to my wall for quite some time. Designed this one in EQ. 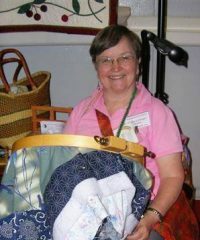 That is such a great program, design quilts faster than you can make them. Didn’t think about it until now, but these stars are dancing too! So which one to make first, because, in the end, I will probably make both! She better like pink for a long time to come! If you haven’t downloaded the blocks of the month PDFs or for EQ, for this year, they will be going away at the end of the month. New blocks or projects will be posted for 2019. 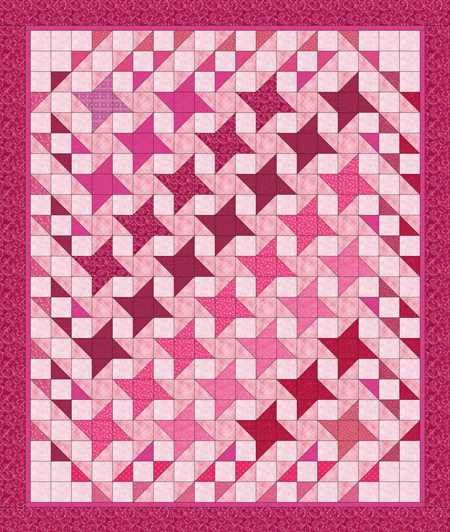 The 2018 blocks will then be available only on Craftsy as an E-Book. 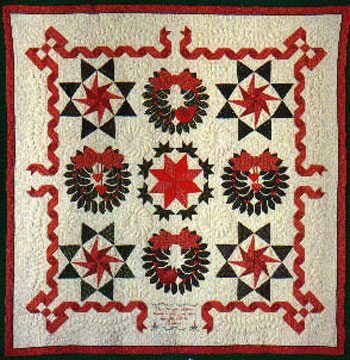 Your Christmas quilt is on my bucket list. Love the phrase you used. 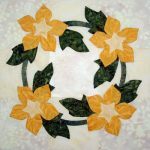 Thank you for another wonderful year of appliqué blocks and blog posts. May you and yours have a wonderful holiday season and bright New Year filled with endless possibilities. 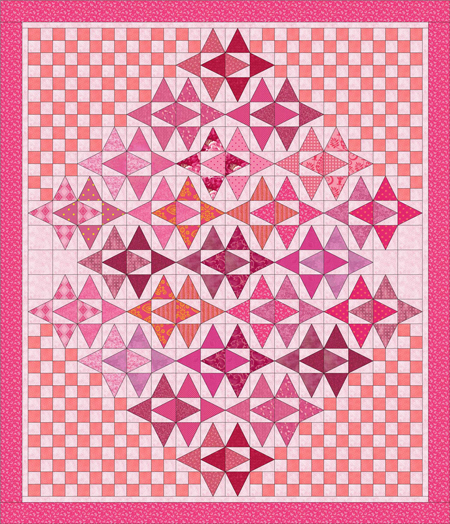 Both pink quilts are great, but I love the first one. Good luck with getting rid of some scraps!